Concurrent market dynamics and the static global economy, does not allow Building Product Manufacturers to waste valuable time searching for or recreating sheet metal designs that already exist. It not only puts companies off the race, but also may put the company at a competitive disadvantage. 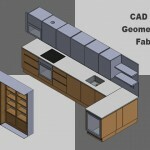 You spent your valuable time searching for a Sheet Metal Bend Design CAD model or a file? You had to recreate a 3D CAD model because you could not find the original one? You spent time creating a sheet metal design only to discover that one of your engineer/colleagues had already modeled a similar design that meets your needs? If you are not the one who uses SolidWorks integrated Product Data Management (PDM) systems, there are chances that you may have, or will face these scenarios. SolidWorks Enterprise PDM 2010 and SolidWorks 3D CAD software enables complete configuration of the SolidWorks Toolbox database within SolidWorks Enterprise PDM. Multiple design centers across our organization can now access and re-use data, helping to speed up the design process. Building Products manufacturers involved in producing metal roofing and metal wall panels need to consider evolving architectural designs, which make it more than important that Sheet metal design in SolidWorks considering the latest trends. 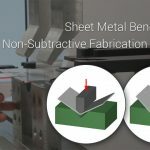 May it be; aluminum sheet metal for buildings, sheet metal roofs, panel & siding products, insulated metal panels, or galvanized building products, though SolidWorks 3D CAD modeling helps you, PDM is the ultimate savior. And the effects are felt across the supply chain including, Framing products manufacturer, Building Panel Suppliers, Metal Roofing Distributors and many more. 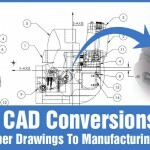 Acclimating, leveraging, and reusing your existing CAD designs, ultimately will save you a lot of time and money, to you and your company. Not only this; it will also assist you in bringing new building products to the market faster, improve your company’s profitability and touch base untapped opportunities. Given the deadline pressures, getting your new product to the market and responding to a project ASAP are some of the critical requirements for success. Do you think with all these, will it make any sense for you to start every new product design or new proposal from the scratch? There are studies that suggest that majority of new product designs contain intellectual property, as much as 85% at times, from the previous designs. However, adapting the design of an existing component or elements is all time better than to start with a blank slate. This will also leverage existing designs in some or the other way, where either you reuse it completely to abolish the design time completely, or by updating or modifying the existing design which will take less time. And less time is less cost. 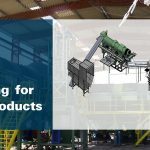 Not only this, apart from the reduced modeling time, design reuse will further have its impact in form of cost and time savings in the downstream engineering, manufacturing and purchasing. It all falls under fewer transactions, vendors, and material acquisition costs), and assembly operations. With the kind of industry experience that you have, your existing designs certainly have the advantage of actual market circulation, and have already withstood usability tests by the customers. Concepts for these designs are proven and are known quantities with established performance track records. It will give you an enhanced confidence that your design will certainly succeed. Customer satisfaction and field failure perspectives, it is less risky to leverage existing designs; instead of going completely in a new direction. You as a designer can also maintain the design intent while adding aesthetic improvements. Design reuse can also spark innovative ideas and possible enhancements that a blank slate typically cannot deliver. Accurate quotes, delivered promptly are at greater chance to win competitive bids. With existing designs, accurate estimates about the costs and lead time are at your fingertips. Utilize the information from the previously used design components to update the information into the proposals. That will save you a lot of time and improve accuracy when estimating new projects. Not only time and accuracy in bid projects, existing design reuse will also facilitate the quoting process between the manufacturer and the outside vendor as well. We deliver engineering services with help of SolidWorks PD, purchase department at our client’s end, and have the convenience to access models and drawings for quoting purposes without waiting for the time of a CAD designer or the mechanical engineer, from the busy schedule. Mismanaged or disorganized data tends to become a burdensome task on product development. Building product manufacturers, as a matter of fact, for every manufacturer; design data is their lifeline. However hard they try, some percentage of engineering data is either lost or difficult to locate due to misfiling or missing documents. All this leads to data duplication and additional data storage. Reducing the number of parts in your database works out to be a more cost-efficient and effective solution. 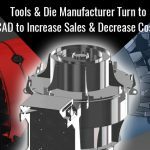 This makes it all the more convenient for designers to locate and reuse existing components or part numbers, that further reduces costs across the organization, as mere a single part that is added, may increase the hours of work and additional costs downstream. Product development is increasingly becoming a worldwide effort for a lot of manufacturers. This may be due to the evolving design and engineering resources spanning across the globe. There was a time when these product development centers used to operate independently, each one of them designing and manufacturing products for their own specific markets. Today, more and more companies are reaping the benefits of their overall design talent by encouraging collaboration on a global scale. SolidWorks PDM, makes it much more convenient to exploit existing product designs, either created in the next office or may be in an office across the continent. This nowhere denies the possibility of design modifications, necessary to meet customer needs and nuances of a particular market in specific geographies. When you are empowered to reuse a design created elsewhere, somewhere in the past, can help you save significant amount of time and money. According to Gartner research, manual data management costs between 40 to 60 percent of a designer’s time. Perhaps the biggest challenge associated with design reuse is securing data to make sure that no one can alter, overwrite, or delete it. To reuse a design, you have to first find it quickly and easily. But how would you determine if a design like yours already exists? How can you know which design has similar characteristics to your needs and if you have the right revision? How do you account for all of the references, associations, and interrelationships between parts, assemblies, and drawings, bills of materials, documentation, and manufacturing information?